Connect with the Carlos. The Carlos Museum provides opportunities for students to connect with collections, exhibitions, and each other. All Emory student members receive free admission to the museum, but student members receive additional benefits such as complimentary use of audio guides, free or discounted admission to museum events, a monthly e-newsletter, and a free one-year individual membership upon graduation (requires activation). The Carlos Museum, in partnership with Emory Arts Underground and S.A.W. (Science.Art.Wonder. ), hosts monthly drop-in art making sessions in the Tate Room on the Plaza Level of the museum. Drop by, take a break, and view and make art! From entire courses developed around the collections to one-time visits on a specialized topic, students can connect with the museum by enrolling in classes taught by museum curators, conservators, and faculty in a variety of departments and disciplines. The courses listed below are examples of how courses across the university utilize the museum's collections. How are Hindu gods and goddesses described, experienced, and critiqued in South Asia? 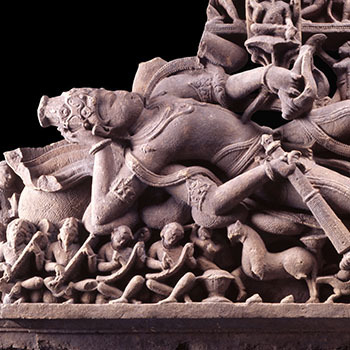 This course compares their representations in the context of local religious sites with their artistic representations in the museum's South Asian collection. The great majority of ancient Egyptian objects in museum collections were made and/or used for religious purposes. 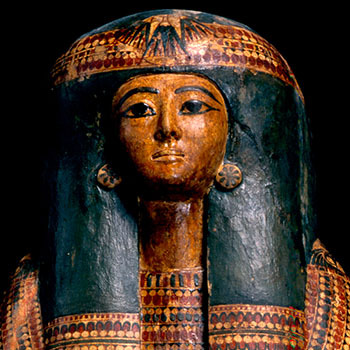 This course explores ancient Egyptian relations to gods, spirits, and the dead through objects in the Michael C. Carlos Museum. Our supply of fresh water, critical to our survival and the ecosystems that sustain us, is in crisis. 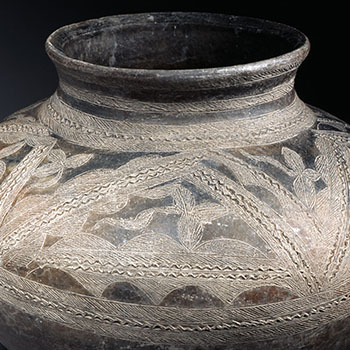 This course visits the Carlos Museum to explore objects related to the scarcity and excess of water in cultures across time and around the globe and the ways in which water shapes social structure and religious ritual. 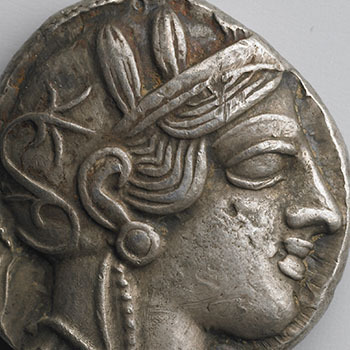 Coins, cameos, and intaglios reflect a diverse array of imagery. This course examines Roman imperial coins and gems and the rich microcosm of ancient artistic production they represent. Immerse yourself in exhibitions at the Carlos. Choose a special exhibition that intersects with your interests, learn about it, and share it with others. Student guides are trained volunteers who lead groups of university students, K-12 students, and adults through the galleries. Students must commit to serving as a guide for the duration of an exhibition and may choose to serve for multiple exhibitions during their time at Emory. The application period for Fall 2019 is now open, and the deadline to apply is April 26, 2019. Fall guides will focus on the exhibition Through A Glass Darkly: Allegory and Faith in Netherlandish Prints from Lucas van Leyden to Rembrandt. If you would like to become a student guide or learn more about the program, please contact Katie Ericson at kericso@emory.edu or 404-727-2363. Thanks to the generosity of the Andrew W. Mellon Foundation, the Michael C. Carlos Museum offers paid summer internships for Emory University students. Mellon internships are open to current undergraduate and graduate students. Interns are selected by a committee of museum staff and faculty advisors. The internships are 10 weeks in length, and students are paid a stipend of $5,000. The deadline to apply for summer 2019 internships is Friday, March 22. Click here for the application. The Carlos Museum also offers unpaid internships, often for credit, and other opportunities for Emory students interested in working and learning in a museum environment. For more information about internships, contact Elizabeth Hornor, Ingram Senior Director of Education, at ehornor@emory.edu or 404-727-6118. For information about work study positions at the Carlos, contact Lisa Fields, senior business manager, at lisa.fields@emory.edu.